Rabat - Morocco’s national football coach Herve Renard explained his choice of 25 players for the Morocco-Malawi qualifier for the 2019 CAN. Rabat – Morocco’s national football coach Herve Renard explained his choice of 25 players for the Morocco-Malawi qualifier for the 2019 CAN. 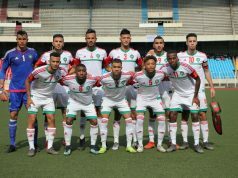 The Atlas Lions will play the Flames tonight, September 8, at the Mohammed V Stadium in Casablanca, starting at 9 p.m. (Moroccan time) in the run up to the 2019 Africa Cup of Nations (CAN). On the eve of the game, Renard held a press conference. “It’s an important game for us. This generation of players deserves to go far in the competition [CAN 2019], but we still have a lot of work to do,” said the coach. The 49-year-old Frenchman also explained his choice of players. On social media, the former coach of Lille was criticized for choosing players like Achraf Bencharki and M’barek Boussoufa instead of players like Walid Azaro and Sofiane Boufal. 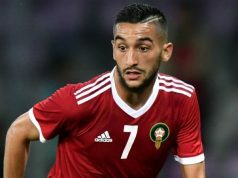 Concerning the speculations around the absence of the team’s captain, Mehdi Benatia, from the lineup, Renard wanted to clarify the situation once and for all, shutting down all the rumors of conflicts between them. Local media were quick to jump to conclusions, reporting tensions between the coach and the captain since the end of the 2018 World Cup when Benatia made a statement blaming “people close to the team” after Morocco’s loss in the second game against Portugal. Benatia responded to Moroccan media tweeting that Renard is not just a coach for him but also a friend. Media also reported that Benatia was injured before he denied it. “Between Mehdi Benatia and me, there is of course no problem. He is someone I really appreciate. When you are a coach, you call your captain, you ask him where he is in his training, you know like me that he had a training [with Juventus] where he does not have all the time to play,” said the coach, explaining that Benatia wanted to focus on having a good season with his club, Juventus. “As long as I’m there with the Moroccan national team, the door will always be open because he has brought us a lot. And if it is otherwise, it’s part of a coach’s life or a player’s career making decisions that are sometimes difficult,” added Renard, who said he wanted to focus on today’s important game.